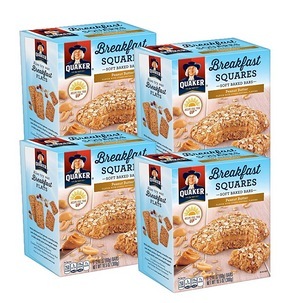 Quaker Breakfast Squares, 4 pack only $12.79 shipped! Amazon has these Quaker Breakfast Squares, Soft Baked Bars, Peanut Butter, 5 Bars (Pack of 4) for just $12.79 shipped when you clip the 20% off e-coupon and checkout through Subscribe & Save! « Trident Minty Sweet Twist Sugar Free Gum, 12 packs only $7.05 shipped!